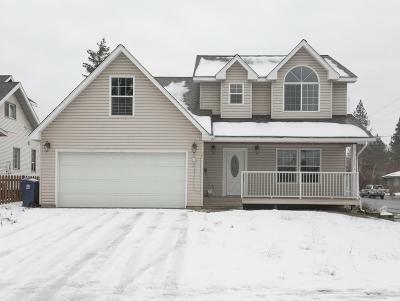 Light, bright and clean 2 story, conveniently located on the south hill. This home offers 3 bedrooms, 2.5 baths and a sizable bonus room over the garage. Great access to schools, shopping and other amenities (approx 6 blocks to Trader Joe&apos;s!) it is ready for you to make it home. Gas forced air, central a/c, fenced yard, finished 2 car attached garage along with a 1 car detached with alley access. Vacant and ready for immediate occupancy.